Before I get into today’s study, I wanted to let you know that Amazon is having a huge sale on my Quieting Your Heart: 6-Month Bible Study Journal. They marked it way down this past weekend. Unfortunately I’m not sure when they will raise the price again, because this is not a publisher discount–it’s Amazon who is offering the sale. It was still on sale when I posted this, but that could change anytime. Just so you know… this book is a journal–not a Bible study. It’s a cute journal that you can use to take notes alongside any study you are doing. 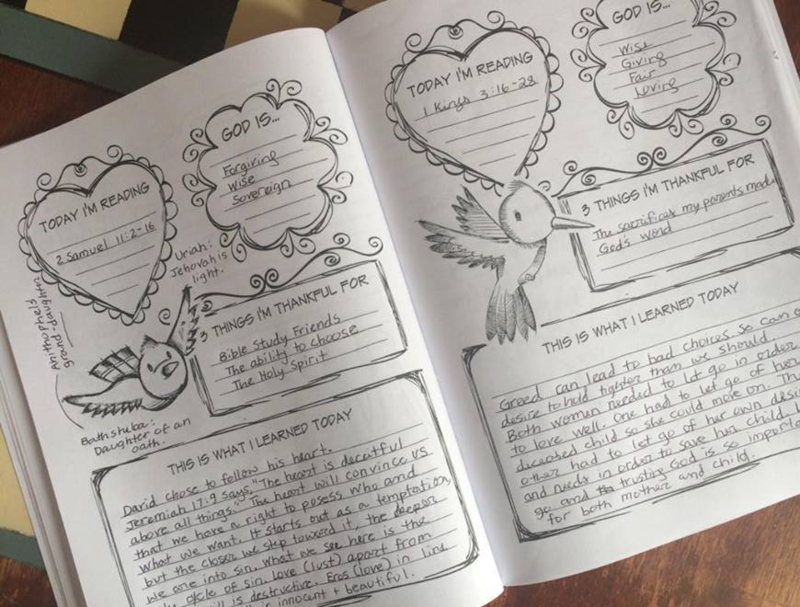 It has a place to jot down what you are learning as well as things you are thankful for each day. There are also little birds in the book that you can color to keep things pretty. 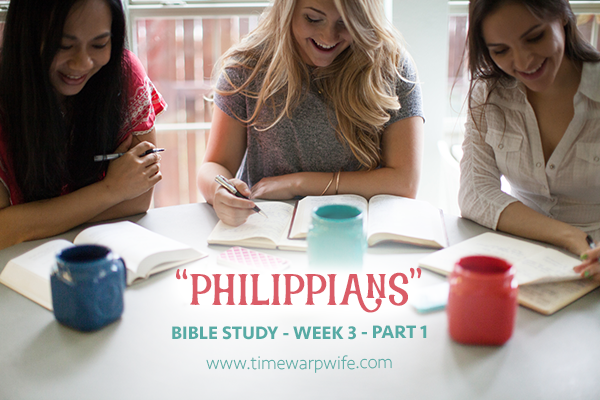 We’re onto week 3 in our study of Philippians. 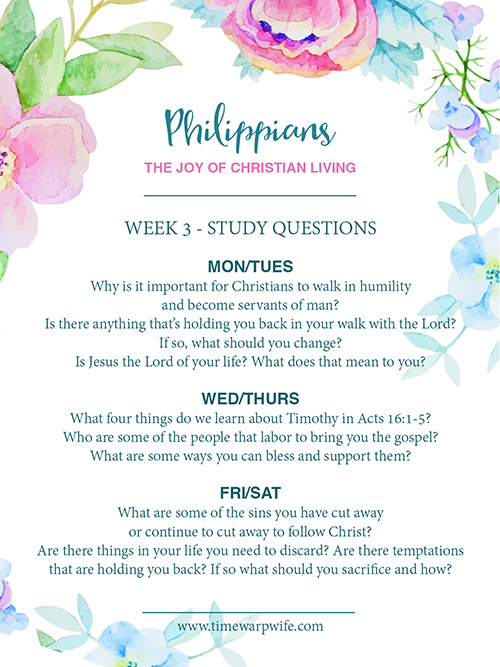 You’ll find all of the resources you’ll need for this week below, including study questions, a coloring page, scripture cards, and a FREE study guide. *Important* Please note: There is a typo on Days 16-18. 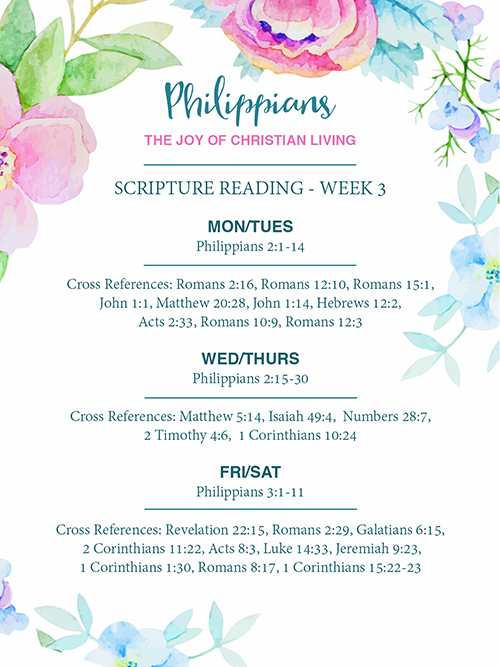 It should be divided as follows: Philippians 2:1-14 (days 15 & 16) and Philippians 2:15-30 (days 16 & 17). I’m terribly sorry and apologize for that oversight. Want to join our discussions? Visit my facebook page on Monday, Wednesday and Friday afternoons, where I’ll post my thoughts and open up a discussion so you can post yours. In addition to my posts here, you can find me on Facebook. On Monday, Wednesday, and Friday afternoons, I’ll post my journal entries and share my thoughts. I’ll also open up the discussion for you to share your thoughts. Note: You’ll also see a copy of my Bible Study/journal below (available at Amazon – affil link). This is an optional addition to the study. 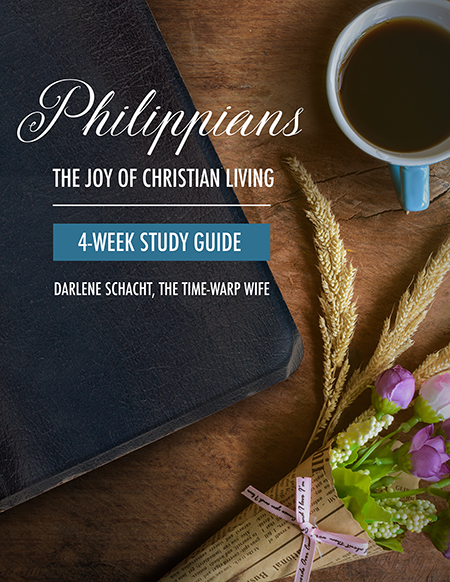 Unlike my previous journals, it contains everything in the study guide as well as the entire book of Philippians (KJV), coloring pages, thought-provoking questions, and my thoughts on the study. 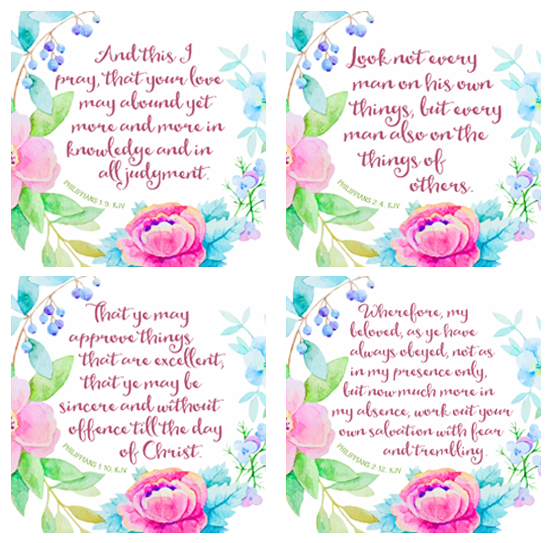 Not to worry however, if you’re using the free study guide (link below), you’ll still have access to all of this in the form of free printables, and Friday’s recap here on the blog. P.S. See the colouring page below? 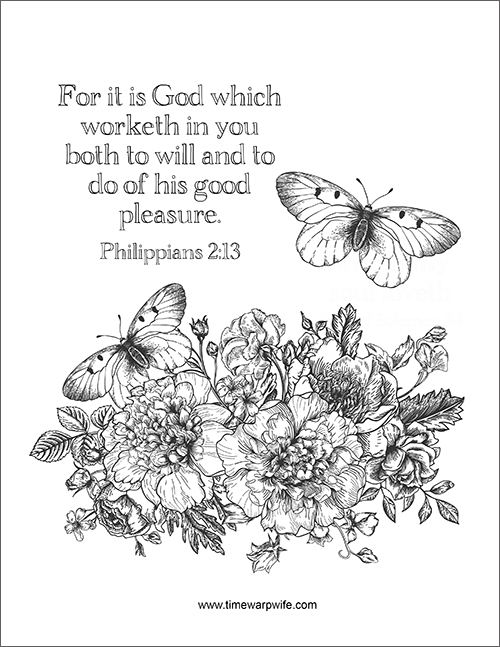 Come back here on Friday to continue our study on “Philippians.” I’ll have another colouring page for you then!